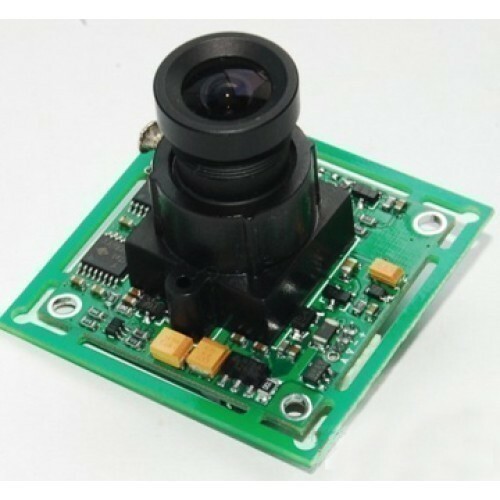 This camera module can be a pretty neat project addition. It was designed to be used in security systems and does two main things - it outputs NTSC monochrome video and can take snapshots of that video (in color) and transmit them over the serial link. You can snap pictures at 640x480, 320x240 or 160x120 and they're pre-compressed JPEG images which makes them nice and small and easy to store on an SD card. Perfect for a data-logging, security, or photography project.